A villager from a community living next to Anglo American’s Minas-Rio iron ore tailings dam in Brazil, has come to London to challenge the company at their AGM over plans to increase dam height by 20 metres. According to a Brazilian court, the company failed to provide the community with mandatory information about the proposed expansion, sparking concern about critical drinking water shortages and another dam disaster, within the state of Minas Gerais, the site of the 2015 Samarco tailings dam breach, which left 20 dead and 700 homeless. WHO? Patricia Thomas of REAJA (Articulation and Justice Network of People Affected by the Minas-Rio Project) and Rodrigo Peret of Churches and Mining Network, accompanied by London Mining Network, will be available to answer questions before the Anglo American AGM. 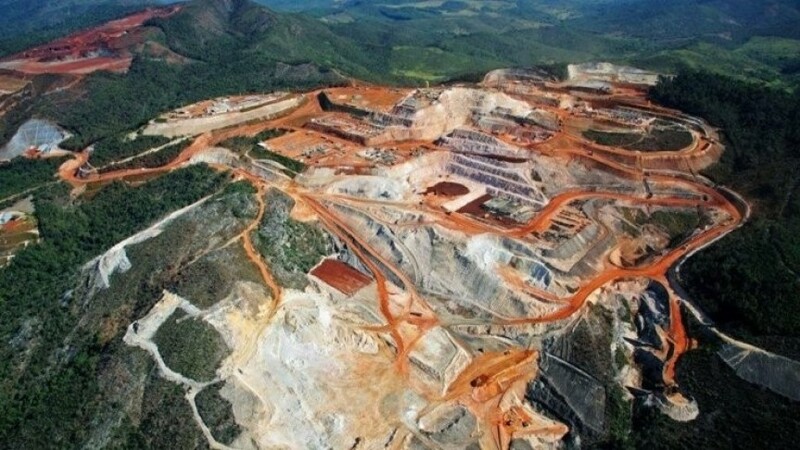 London — The world’s tenth-largest mining company, Anglo American, will face challenges from communities affected by its Minas-Rio iron ore mine in the Conceição do Mato Dentro region, in the state of Minas Gerais, Brazil, at their London AGM, over attempts to push through expansion plans for the mine and its tailings dam. Patricia Thomas, who lives just 300 metres from the Minas-Rio iron ore tailings dam, in the Passa Sete District, in the municipality of Conceição do Mato Dentro, has travelled to London to demand Anglo American halt plans for a third phase of mine expansion, pending proper consultation and answers for those who stand to be affected by the expansion. Part of Thomas’ family land was expropriated to build the initial tailings dam. The rest of their land falls within the ‘self-rescue zone’ declared by the state to signify those for whom there would be no official services that would be able to provide help in time, in the event of a tailings dam disaster. Her village is one of three within the ‘self-rescue zone’, with a population of 400 people. The dam already has a capacity of 370 million cubic metres of tailings. In contrast, the Samarco breach spilled roughly 32 million cubic metres of iron ore tailings in the region, killing 20 and decimating countless local ecosystems along the Doce River. Thomas is accompanied by Franciscan Brother, Rodrigo Peret, of the Churches and Mining Network. They have travelled to London to inform company shareholders about Anglo American’s lack of consideration for local drinking water depletion, inadequate consultation processes, and the potential impacts of a tailings dam breach. They demand that the company – who are still meant to be in the first stage of the Minas-Rio project (licenced for five years in 2014), but have already been granted permission for a 2nd phase and are attempting to receive license for a third by June 2018 – stop the expansion until a full and transparent assessment of the additional risks posed to people and the environment can be made and shared publically. Water availability is a critical concern for villagers in the region. Just to transport ore to port in Rio de Janeiro, the Minas-Rio mine uses enough water to supply 400,000 people a day with their basic needs. The mine’s activity is already lowering the local water table. At least six communities are living on pumped water and some are without water for days at a time due to the springs that have dried up. On 11 April, a Brazilian court cancelled a public hearing scheduled by Anglo American as they attempted to push ahead for the license needed for the third phase of mine expansion. The court declared that the company had failed to provide the environmental impact studies that affected communities would need to form an opinion on the plans. Were it not for the ruling, the company and the local authority would have proceeded with the mandatory hearing, knowing that those affected were not adequately informed about the issues. This has raised considerable concern amongst residents that both Anglo American and the state are not acting in their best interests. Further, public meetings relating to Anglo American activities in the area have been marked by the presence of armed police and other forms of state pressure. One mine opponent – named publicly in a letter by Anglo American – was attacked and his car destroyed, upon return to his community following meetings out of town, when the letter from the company was published. For context, Brazil’s mining regulator has been described as ‘chronically underfunded,’ with just 20 staff charged with ensuring all the countries’ mines – including its’ 663 tailings dams – are kept up to code. * In this context, neither the words of the company, nor the laws of the state are seen to be sufficient reassurance for those living in the immediate area surrounding Minas-Rio. Patricia and Rodrigo will be attending the AGM and will be available for interview by prior arrangement before 12 noon on Monday 24 April, or immediately following the AGM.